Megagon Industries an independent studio from Berlin, has announced its new PC/Mac game Lonely Mountains: Downhill. 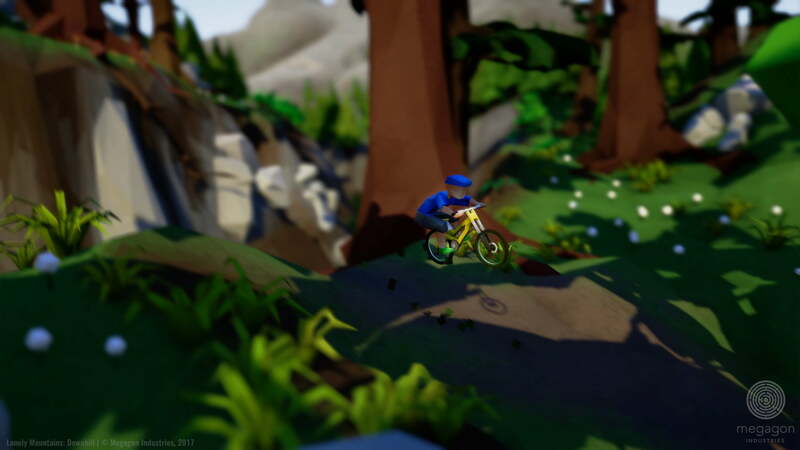 In a pixel art style, Lonely Mountains captures the essence of downhill mountain biking. The project is currently on Kickstarter and if you signup for their newsletter here you can download a 1 minute fully playable demo. I spent a little bit of time with the demo and I must say it is a ton of fun. It’s not a trick game like some extreme sports games that I’ve played before. Instead Lonely Mountain focuses on route find, control and speed. This dynamic makes the game much more believable and I think it will have great replayability because of its open world design. It’s so much fun even in its one minute version. The demo only includes one mountain, but the full game should have several. Check out the video below and then download the demo.